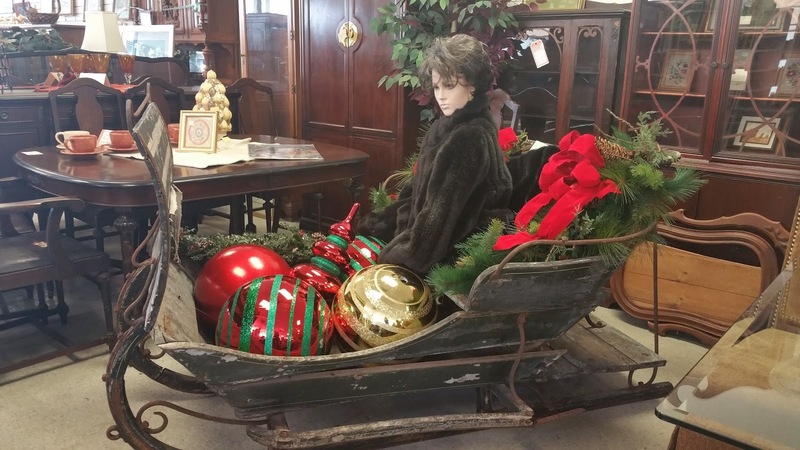 At the Sunshine Resale Shop, we sell Christmas decorations almost year-round, but this week we had the above vintage sleigh donated. It's for sale, along with lots of other holiday goodies. The 1960s mannequin sitting in it (we named her Natasha) is not for sale. Monday, October 5 from 8:30 A.M. to 2:30 p.m.
Tuesday, October 6 from 8:30A.M. - 1:30P.M. Wednesday, October 7 from 8:30A.M. - 1:30P.M. "John" was laid off from a construction company that saw its business decline with the decrease in oil prices. His lack of computer skills left him frustrated because he couldn't complete the on-line employment applications required of most companies. So he came regularly to JobNet's Self-Paced Computer Training to develop those skills. He also met with a coach to put a resume together and work on his job search. He told us this was the first time in 20 years he has been unemployed. As we talked, I learned he had been a safety coordinator and worked several years ago for a notable company here in Houston. We forwarded his resume to the HR Director there, just to see what might happen. The next morning, John received a call from the company and began employment that afternoon. This client needed just a little: computer skills, coaching, and someone to push him to send his resume to the right person. Many of our clients need just a few targeted things like this to propel them forward, and this is how JobNet is effective. This morning I spoke to another client who was laid off due to the oil industry. She has utilized JobNet, but this morning was receiving food from our pantry. She was upbeat and optimistic that she would find work soon. In the meantime, CCSC is here to help, both for her family's immediate needs as well as for the longer process of conducting her job search. These two stories are about Houston's economy and it's ties to the energy sector, but we help people from a variety of backgrounds through the ups and downs of the economy. Many of our clients face enormous challenges and obstacles, so it's rewarding for me to hear (and share) the stories with a happy ending, like John's.